Staying in the Great Himalayan National Park alone, octogenarian Chatri Devi is determined to vote against demonetisation as her three banknotes are no good. SHIMLA: Demonetisation may cost the BJP at least this one vote in Himachal Pradesh. Staying in the Great Himalayan National Park alone, octogenarian Chatri Devi is determined to vote against demonetisation as her three banknotes are no good. Her grudge is that could not replace her three old banknotes of Rs 500 each after last year's denomination. "She is really upset with the BJP," her grandson Gumat Ram told IANS. Ram said she would come out of the national park for a day to vote on Thursday at a polling booth in Daran village in Nohanda panchayat in Kullu district. "She will not vote for the BJP this time," he added. Elections to the 68-member Himachal Pradesh Assembly will be held on Thursday. The results will be known on December 18. Chatri Devi, 83, lives all alone in the Unesco-tagged Great Himalayan National Park, one of the richest biodiversity sites in the western Himalayas, in the picturesque Kullu Valley. Park authorities say she is the only person living in the park that is spread over 754 sq km. Her family, comprising three married sons and their wives and nine grandchildren, stay outside the core area of the wildlife park that got a national park status in 1999. The reason she cites for not moving out of the park is her emotional bond with her small wooden house and a piece of agricultural land. "I have spent more than three decades here. Why should I now move out from this park?" Chatri Devi had then asked this IANS correspondent. 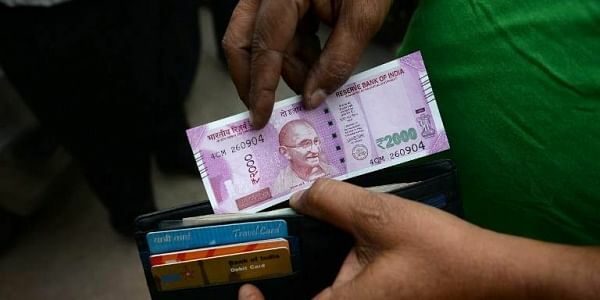 She showed three banknotes of Rs 500 each, which she couldn't change as the government didn't extend the deadline for exchanging demonetised currency notes beyond December 30 last year. "The nearest bank was 10 km away and for that I have to walk one-and-a-half hours," she said. "Initially, there was huge rush at the bank. All of sudden I came to know that the last date for getting them replaced is over. Now you tell me what I should do with these worthless pieces of paper?" Chatri Devi's traditional clay and wood hutment, sans electricity and mobile phone connectivity, is located on the southwestern side of the park, an eight-kilometre uphill trek from Gushaini village along the trout-rich Tirthan river. Her husband Chande Ram died of lung cancer a long ago. "One of my family members normally comes daily these days before sunset to enquire about my well-being and goes back the next morning," said the wizened Chatri Devi, who measures time without a clock and possesses an Aadhar number. She says she is never bored or lonesome. "These birds and animals are also part of my family. Every winter 'jujuranas' or western tragopans and gorals descend here. So I enjoy watching them," she said. She is not suffering from any major disease. "My only problem is pain in my knee joints. The pain will go with my death. So I stopped taking pain killers," she added.